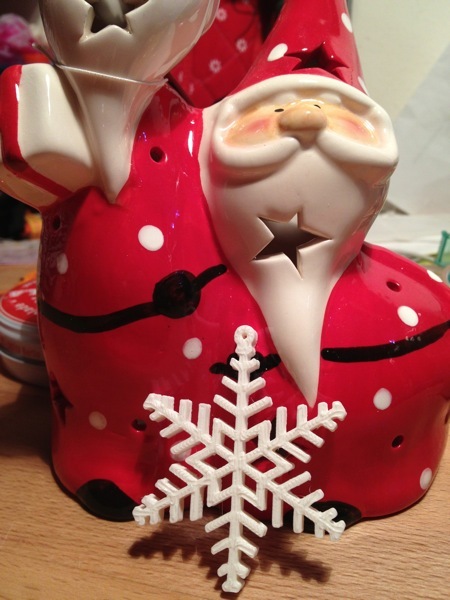 How about some christmas 3d ornaments? 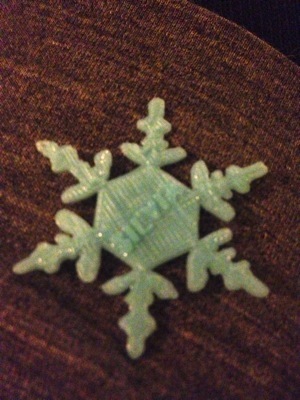 I started with a standard snowflake just to be certain things were working fine. Then on to a stranger one, the Gangnam style one, designed by manixx. 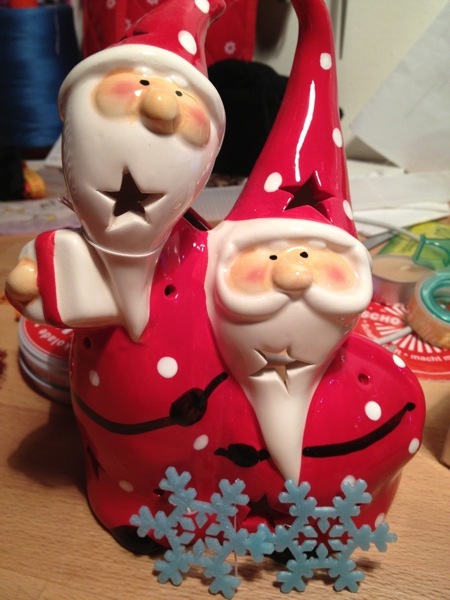 I was a bit worried by this one because there was no picture of it being actually done, but i’t just a small ornament and wanted to give it a try… and it obviously didn’t work. Opens up fine but get’s stuck while generating the Gcode. No time to try and fix the file so on to another snowflake, this time roman_hegglin’s shadow flake. I printed 2 and they are cute, no hole to hang them but you can easily do it with a hot needle I suppose. 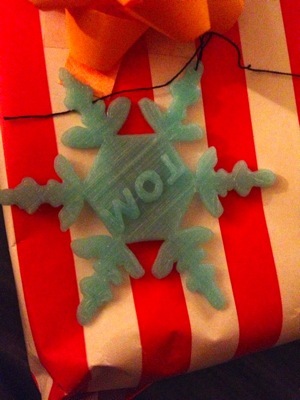 So I decided it would have been a cute idea to print snowflakes for my gift tags this year, and tried generating the stl from a web app. 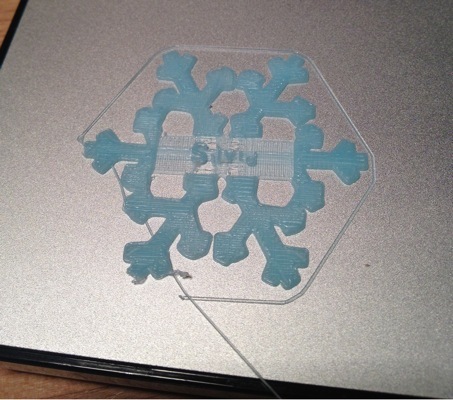 I found it while surfing for snowflakes on thingiverse, and the picture looked good enough. 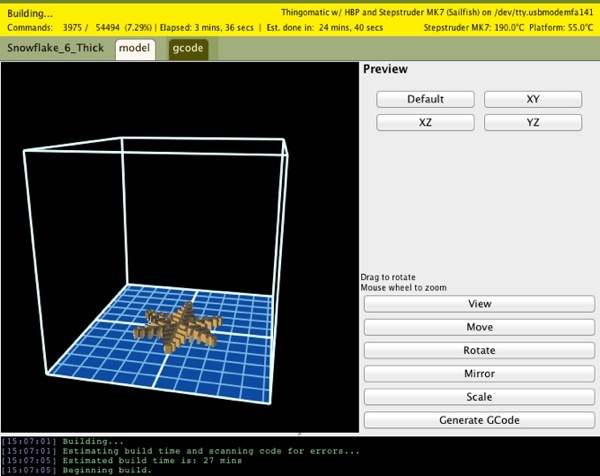 The author, richardberwick, gave the link of the 3d printing website where you could personalize your snowflake and download the stl file or send it to the 3d printing service. So I made up my mind to do my own personalization, and using Sketchup I added the names on the basic snowflake uploaded by AndrewStaroscik. I choose that one because it had lot’s of space in the center. And I had obviously a few problems, filament not extruding, font chosen too thin (and not showing up at the end) and the nicest one: I’ve lost one of the snowflakes and got late to the dinner because I had to print it again! 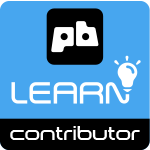 This entry was posted in 3d prints, failure :(, PLA, success!, TOM. Bookmark the permalink.